Rakuten Marketing’s global affiliate network empowers marketers to engage shoppers across the whole customer journey. They connect advertisers with publishers to reach new audiences and influence repeat purchases. In the year 2016, they helped facilitate more than 100 million orders worldwide. As a platinum publisher for Rakuten Marketing, SaleCycle routinely exceeds revenue goals in addition to keeping up with the Network’s brand compliance and quality standards. Our partnership allows advertisers to use SaleCycle’s solutions to connect with more consumers, drive more sales and track more conversions all through the Rakuten Marketing platform. As all of these conversions and attributions can be viewed through the Rakuten Marketing platform, it is super easy for advertisers to understand where their sales are coming from and where their digital marketing activity can be further optimized. 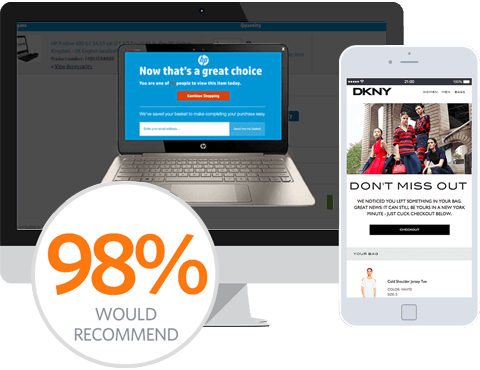 Advertisers can expect our dedicated account managers to work closely with the affiliate managers to continually improve campaigns, adding our remarketing expertise to the mix to ensure for successful results. Another advantage to our partnership with Rakuten Marketing is that we currently hold a master services agreement. This means there is minimal procurement processing between all 3 parties, allowing advertisers to get up and running with SaleCycle solutions even quicker. Access all your performance marketing data in the Rakuten Marketing platform. Fast and easy tag deployment allowing advertisers to get live with SaleCycle solutions even quicker.